The fun-loving trio readers fell for in Wait for the Rain is together once more. Here's to the power of friendship! The Girls art at it again! This was a fun and delightful read! I enjoyed "Bridges." I think the reason this book spoke to me more than "Waiting for Rain" is because the primary focus of "Bridges" was friendship. Friendships are so important to our daily lives. They are the people that make us laugh and the people that sit with us when we are crying. They are the people who watch us grow and change with the seasons. 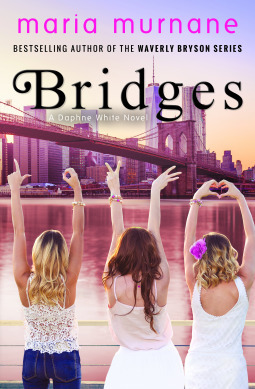 I enjoyed this book because of the element end depth of friendship between Daphne, KC and Skylar. These gals remind me of my best friends and college roommates. Our friendship has stood the test of time no matter what circumstances we have faced! I also loved the setting of the book, NYC, which is a place I hope to visit someday. 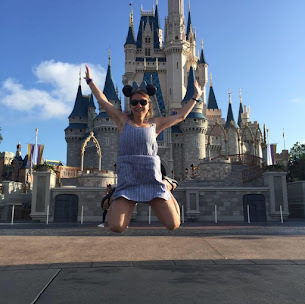 Marie made the setting to come to live, especially as she had references to restaurants and Hamilton and other places to discover if you've ever been or have been wanting to make a trip. The flow of Bridges was much more smoother and the readers were invited to more backdrop characters, which I'd love to hear more about. I think this envolkde more questions than answers. I won't spoil the read, but we meet a few interesting people. I enjoyed this one much better than "Wait for the Rain," but I always say read the book yourself. This is a fun and great summer read! I give this book a 4/5 stars. Thank you to the author for providing me a copy. A favorable review was not required. The way Maria became an author is a little crazy. She used to work in high-tech PR but hated it, so one day she quit and ended up playing semi-pro soccer in Argentina for a year. While she was down there she decided to write a novel, which was something she'd always dreamed of doing. Fast forward a few years and she's now the best-selling author of Perfect on Paper, It's a Waverly Life, Honey on Your Mind, Chocolate for Two, Cassidy Lane, Katwalk, Wait for the Rain, and Bridges. And yes, she still plays a lot of soccer!